CCTV cameras are installed in almost every public building we enter, from supermarkets and office blocks to hospitals, pubs and even schools. They’re not only there to protect you by deterring criminal activity, but to monitor behaviour and protect the property and any assets that could present a valuable temptation to thieves or vandals. In quite a shrewd move, by combining the webcam on your laptop / tablet / smartphone with anti-theft apps, thieves are literally being caught red handed. Victims can have their device snap a picture from the front facing camera the next time it is turned on, revealing not only the image of the perpetrator, but also the GPS location. This information comes in incredibly handy in assisting the police with their investigation. Then of course there are the cameras that are dotted up and down our roads and motorways to keep us “safe” on the road. They monitor the speed we’re travelling and enforce maximum speed limits that are designed to ensure we aren’t endangered, nor are we endangering the life of others. There are also those detecting when a car jumps a red light, motorway congestion cameras, in addition to the latest range of vehicles sporting bumper camera technology. The motor sector is ripe with surveillance technology. Access control plays a major part in the security of businesses and residential properties throughout the UK. Many people just aren’t comfortable inviting strangers into their homes or secure premises until they are sure of the identity and intentions of the person. Access control systems that work with a video intercom are increasingly being installed, allowing for the discreet screening of visitors. But safety and security aren’t the only purposes of CCTV – it’s also widely utilised for our entertainment! Our favourite TV programmes from reality shows to fly-on-the-wall documentaries are filmed using state-of-the-art cameras. 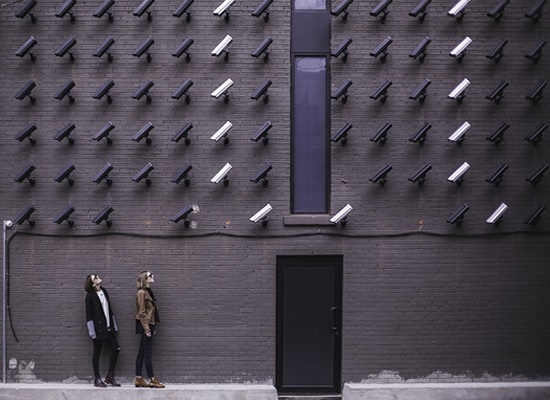 Whether you’re watching an exposé with undercover journalists and hidden cameras, or you’re catching up on the latest instalment of Game of Thrones, you have CCTV technology to thank for your entertainment. Added to this, XBOX Kinect which sits under our TVs and uses visual technology to allow gamers an immersive style of game play. When twenty million Brits settle down for an evening in front of the television, that very camera is technically in a prime position to record our response to a funny programme. In fact it’s this idea that has enabled Channel 4’s latest show Gogglebox. Not a gamer? Well there’s the new batch of SMART TVs with inbuilt video calling facilities, now gracing living rooms across the land. They offer the ability for families to keep in touch, using apps such as Skype in beautiful HD. In equal measure, CCTV cameras are also being used for slightly less glamorous applications, including blocked drain surveys. Qualified drainage experts can now conduct full, non-invasive drainage surveys without digging up your property or damaging your fittings and fixtures. They simply feed the cameras into the pipes, and they can reach even the most difficult to access areas to assess any damage and find the cause of any problem quickly and easily. There’s another side to technology advancement, so not only are tiny cameras used to keep us safe and secure, but unfortunately they are also being used by criminals to monitor our behaviour. We’re always being told to stay safe at cash machines and shield out PIN, but many thieves have progressed from sneaking a peek over our shoulders and are instead uses hidden cameras to monitor machines without detection. The London Metropolitan Police state that every day they use CCTV footage to identify offenders and solve an average of 6 crimes, a definite plus. For good or bad, camera technology is here to stay and inevitably will continue to develop in terms of quality and potential use. It’s looking likely we’ll need to be ever ready for the glare of the lens, whether at home, at work, or out on the road.